We now offer even more ways for our visitors to enrich their Chanticleer experience! Chanticleer is proud to sponsor a wide variety of programs, workshops, classes, and collaborative programs with some of our regional garden communities and friends. We encourage you to expore all Chanticleer has to offer as it usually leads to a heightened appreciation for our garden and an increased awareness in regards to the natural treasures within. Paid and unpaid internships providing professional work experience alongside Chanticleer's horticultural staff are offered seasonally. If interested, submit a letter of interest, resume, and at minimum one letter of recommendation. Applications will be accepted until January 15th. Please provide information about your professional goals, expectations of the internship, what dates you are available, if you need housing, and what hourly wage you are hoping to receive. E-mail your application materials to admin@chanticleergarden.org, or mail to Chanticleer Internship Program, 786 Church Road, Wayne Pennsylvania, 19087. 2. Support of travel to meet with leaders to build on the training experience. To read more about the Chanticleer Scholarship, click here. To view current and past Chanticleer Scholars, click here. Chanticleer supports a horticulturist to study at Great Dixter in East Sussex, England and at Chanticleer in Wayne, Pennsylvania. This one-year Scholarship includes 11 months at Great Dixter and one month at Chanticleer, providing an opportunity to develop practical skills and the 'sense of place' needed to manage complex, innovative gardens. 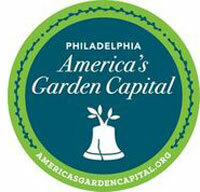 This training opportunity was established to inspire a future generation of top-notch North American gardeners. Qualified applicants will have completed horticultural training, be looking for an immersive experience to advance their knowledge of plants, design and organizational excellence, and be U.S. citizens. To find more information about the placement and application requirements, please visit Great Dixter's website..
September 7, October 5, and November 2. Regular admission fees apply. Our parking lot holds 120 cars and can fill on weekends Please car pool and understand once we reach capacity, you will need to wait until the parking staff directs you to an open spot or plan to visit at a non-peak time. Due to anticipated large crowds, there will be no picnicking on Mother's Day, Sunday, May 12th. Pick up your copy of the Passport when you visit Chanticleer and start collecting stamps and stickers at over 30 public gardens. Free while supplies last. St. Catharines Standard, and FlipKey by Trip Advisor.